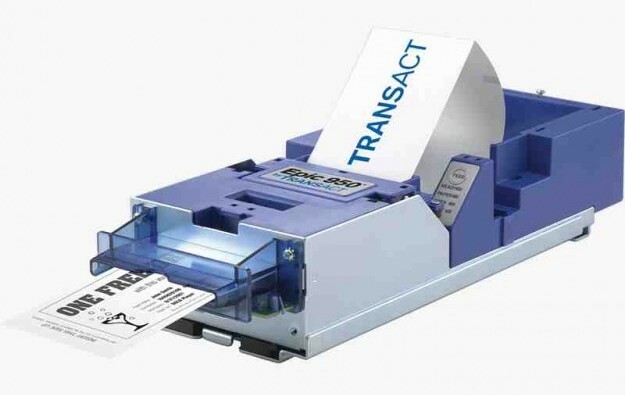 Transact Technologies Inc, a supplier of casino gaming machine ticket printers and other products for consumer transactions, moved to a fourth-quarter loss on operating income that fell 22 percent. Such quarterly loss was US$412,000 compared to net income of nearly US$1.4 million in the prior-year quarter; on operating income that slipped to US$1.5 million, from US$1.9 million previously, the company announced on Monday to Nasdaq. Fourth-quarter gross margin improved by 6 percentage points year-on-year, to 50.2 percent, which TransAct said was the second consecutive quarter a new company record had been set for that indicator. The 2017 fourth-quarter results included the impact of a US$1.3-million charge to income tax expense “related to the revaluation of deferred tax assets” resulting from tax reform in the United States, the firm stated. Total revenue in the three months to December 31 stood at approximately US$13.2 million, down 3.0 percent from the prior-year period. Casino and gaming equipment sales during the reporting period slipped 8.3 percent to US$4.4 million, from US$4.8 million a year earlier. For full-year 2017, group net income contracted 11.2 percent year-on-year, to US$3.2 million, from nearly US$3.6 million in 2016. For the calendar year, casino and gaming sales slipped 11.4 percent, to just under US$18.6 million, from nearly US$21.0 million in 2016. “Our casino and gaming business is… positioned to grow, as demonstrated by the 34 percent year-over year-increase in domestic casino and gaming printer sales in the fourth quarter of 2017,” he added. The group’s fourth-quarter net loss per common share on a basic and diluted basis was US$0.06, compared to a profit of US$0.18 in each case for the prior-year quarter. For full-year 2017, profit per common share on a basic and diluted basis was US$0.43 and US$0.42 respectively, compared to a profit of US$0.48 and US$0.47 in full-year 2016. On Monday, TransAct’s board authorised a programme to repurchase up to US$5-million of its outstanding common stock on the open market, between now and December 31, 2019.